UMBC students have rewritten the record books in 2018. With graduation around the corner, and our soon-to-be new Retriever alumni preparing for graduate school, careers, and research around the world, we reflect on all they have achieved. UMBC celebrates two valedictorians for the Class of 2018. 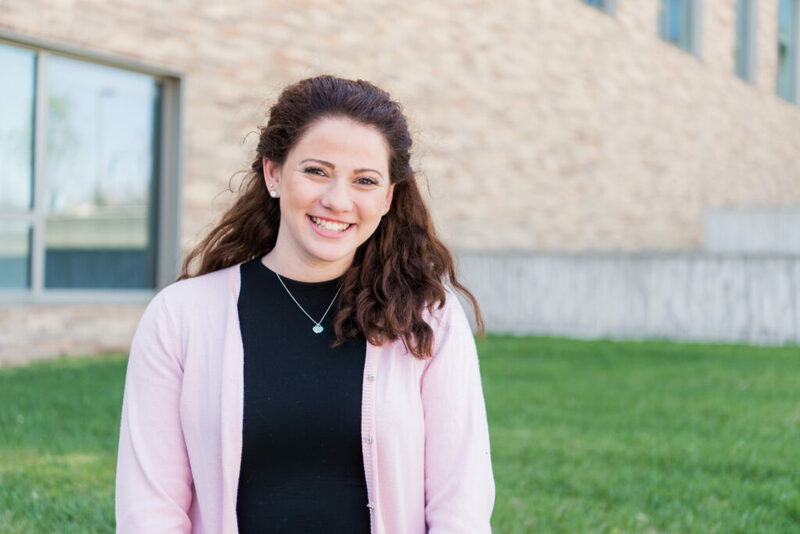 Valedictorian Kara Seidel ‘18, psychology, a Sondheim Public Affairs Scholar, discovered a particular passion for supporting families dealing with trauma through several intensive research and internship experiences. These include work at the Johns Hopkins School of Medicine in an HIV and addiction lab, a research internship at the American Psychological Association, and work as lead research assistant in the Trauma Lab of Christopher Murphy, professor and chair of psychology. Kara Seidel. Photo by Marlayna Demond ’11 for UMBC. One of the best things about UMBC is how supportive professors and staff are. They tell you the truth, even when you don’t want to hear it. They see potential in you and encourage you to take each mistake as a learning experience. Their ongoing support helped me feel confident about pursuing a wide range of opportunities. Seidel will work as a behavioral therapist and researcher for the next year, before beginning a Ph.D. program in psychology, with a focus on supporting families experiencing trauma. 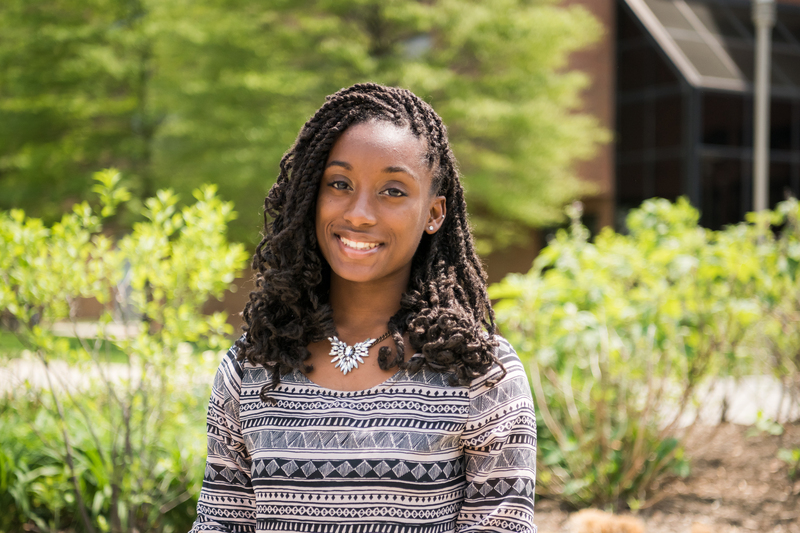 Valedictorian Eudorah Vital ‘18, biochemistry and molecular biology, is a Meyerhoff Scholar, MARC U*STAR Scholar, and Howard Hughes Medical Institute Scholar. She pursued research from her earliest days as a freshman at UMBC, quickly advancing in Rachel Brewster’s developmental biology lab. She has already co-authored two papers in top-tier academic journals, and a third is coming soon. Eudorah Vital. Photo by Marlayna Demond ’11 for UMBC. UMBC prepares its students to be productive members of society, who strive to understand others and bring people together. I came to UMBC thinking I knew what I wanted to do, and I am leaving with a refined version of my goals, which reflect the values of inclusivity, support, and grit. With a commitment to pursuing clinically relevant research, Vital will soon begin Emory University’s neurobiology M.D./Ph.D. program. UMBC’s 2018 history-makers include the graduating Retrievers of the men’s basketball team. The chemistry and the friendships we have built helped us stay focused on our goals. I’m thankful for my teammates and coaching staff. Every single person on the team played a role to help us reach together and I’m proud to call them family. Joe Sherburne, K.J. Maura, and Jourdan Grant (l-r). Photo by Marlayna Demond ’11 for UMBC. 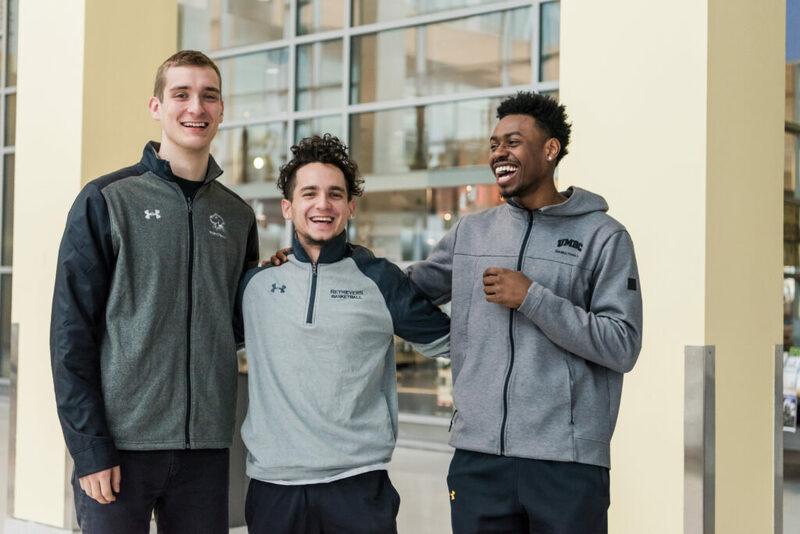 When Joe Sherburne ‘18, financial economics, traveled from Wisconsin to Maryland to attend UMBC, he couldn’t have anticipated where that path would lead. He has skillfully balanced academics and athletics, becoming the first UMBC and first America East Conference men’s basketball player to ever be named to the Academic All-America Division I Basketball First Team. Sherburne served as a captain for the history-making 2017-18 men’s basketball team and still maintained his place on the President’s List each semester. After graduating, he will continue to play for UMBC while pursuing his master’s degree in data science. UMBC has prepared me in the way that the university has a standard in how you carry yourself and really embrace success. Also a member of the Class of 2018 is UMBC’s first Rhodes Scholar, Naomi Mburu ‘18, chemical engineering, who will next pursue a Ph.D. in nuclear engineering at Oxford. Mburu is a Meyerhoff Scholar, MARC U*STAR Scholar, and recipient of the highly prestigious Goldwater Scholarship, as well as president of UMBC’s chapter of the National Society of Black Engineers. Naomi Mburu. Photo by Marlayna Demond ’11 for UMBC. 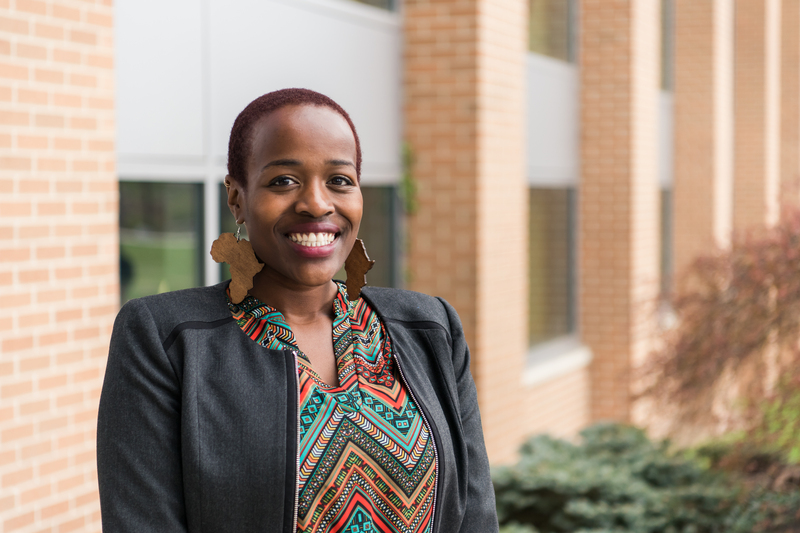 Mburu has conducted notable research at UMBC and around the world. In the lab of Gymama Slaughter, associate professor of computer science and electrical engineering, she worked to help develop a bioreactor to extend the viability of human organs awaiting transplant. She has also brought her passion for learning and creating new solutions to internships at Intel, the Johns Hopkins Applied Physics Laboratory, and the European Organization for Nuclear Research in Switzerland. She will soon travel to Europe to attend the Lindau Nobel Laureate Meeting, which invites the world’s top emerging scientists to meet with thirty Nobel laureates. UMBC’s Class of 2018 includes thousands of phenomenal graduates. In the arts, humanities, and social sciences, Shirley Basfield Dunlap, Ph.D. ‘18, language, literacy, and, culture, is finishing her doctorate at the age of 65 after steadfastly completing one course a semester for nearly a decade. She will apply her dissertation research on the history of African American stage directors to her work as coordinator of theatre arts at Morgan State University. Emmanuel Mones ‘18, visual arts, will launch a men’s streetwear brand and magazine designed to promote public dialog about gender, sexuality, and equality. Flora Kirk ‘18, ancient studies, has already traveled the world to study ancient coins, and will next research Roman coinage in Cluj-Napoca, Romania, as a Fulbright Scholar. Emmanuel Mones. Photo by Marlayna Demond ’11 for UMBC. Among UMBC’s impressive STEM scholars, men’s club lacrosse team captain Greg Huxtable ‘18, physics and mathematics, will build on his high-level research in quantum computing through a Ph.D. at UC Irvine. Arissa Falat ‘18, biochemistry and molecular biology, an award-winning professional figure skater, will pursue a Pharm.D./J.D. at the University of Maryland School of Pharmacy. After multiple internships with Google, CWIT Scholar Katherine Dillon ‘18, computer science, will soon work as a software engineer at the company’s San Francisco campus. Gregory Huxtable. Photo by Marlayna Demond ’11 for UMBC. Top image: Orientation Peer Advisors cheer for UMBC in the Commons, Spring 2018. Photo by Marlayna Demond ’11 for UMBC.